Composer Darcy James Argue’s latest work is a multimedia piece called Brooklyn Babylon. In this interview, he tells the amazing story of how he and visual artist Danijel Zezelj created the piece; goes behind the scenes of the composition and the technical aspects of producing such a large work; and also talks about a performance on March 9, 2012 at which his band Secret Society will play his works and the works of other composers. Learn more at secretsociety.typepad.com, see much more of Brooklyn Babylon at brooklynbabylon.com and follow Darcy on Twitter at @darcyjamesargue. NOTE: This interview is part of a new monthly collaboration with JazzDIY, the online journal for the 21st century jazz musician. 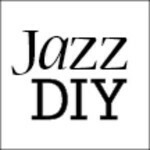 Visit JazzDIY.com to see a video interview with Darcy James Argue in which he talks about the business of music.